Dolpo remains a truly isolated corner of Nepal: time has stood still here for centuries as the inhabitants of Tibetan stock continue to live, cultivate and trade the way they have done since time immemorial. 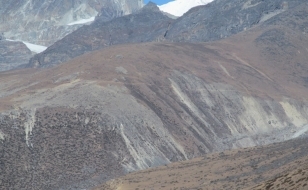 The ecosystem encompasses a wild and wonderful variety of plants and wildlife, including the blue sheep and snow leopard. A trek through Dolpo is an experience not easily forgotten. We trek through birch and silver fir forest to Chaurikot. 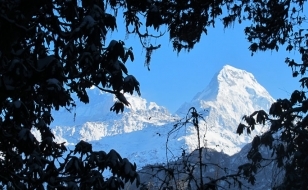 Scenic views of Patrasi and Jagadu Himal are visible to the north. 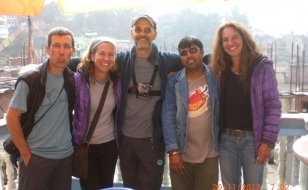 Minimum altitude : 2150 m.
Maximum altitude : 5318 m.
After having breakfast we will take you sightseeing around Kathmandu valley. You will visit many Buddhist and Hindu temple which reflect the local culture and tradition of Nepalese society. In the afternoon we will return you to the hotel. (1 hour fly) to Juphal (35 minutes fly). O/N at Juphal. 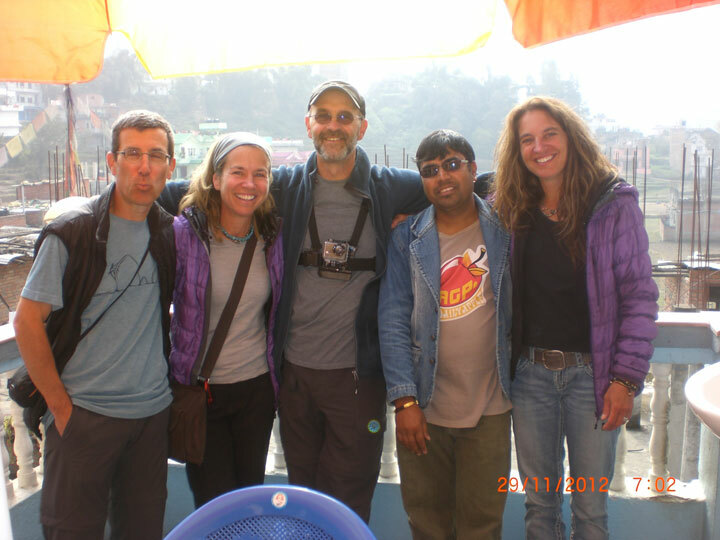 The trail descends to the large village of Dangi Bhara and to Kala Gaura. The trail now remains close to the river on its south bank and reach to Roop Ghar with the water mill and simple lodges and finally reach to Dunai, large village with school, police check post and government office. O/N at Dunai. Following the trail eastward along the south bank of the Thulo Bheri and crossing north bank beyond Dunai and then south bank reach to Lawan finally reach to Tarakot. O/N at Tarakot. After a few ups and downs, you will cross the high suspension bridge at 2560m. Just above the bridge you will see Tarap Chu joins the Barbung Khola and then reach to Khanigaon, the village complete with Gompa. O/N at Khanigaon. From Khanigaon the trail leads to Lihini. Now the trail forwards sometimes on stone stairways and sometimes on a twisting bare-earth and reaches to the high point about 3650m. From here the trail slops down to Chukore. O/N at Chukore. Beyond Chukore the trail slopes down to Naurpani. Crossing several streams and bridges, passing the series of low caves the trail slopes down into the large yak pasture of Kamokharka. O/N at Kamokharka. From Kamokharka the trail set off across the meadow crossing several little streams and wooden bridge. Along line of Mani walls leads to the village. Finally you will reach to Dho. O/N at Dho. Head west out of Dho passing stone houses then you will reach the Crystal Mountain School. Beyond the school the trail leads uphill to the Tok-Khyu village (4180m). 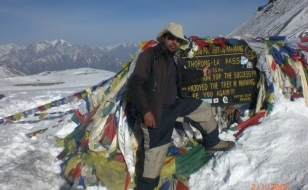 Then the trail crosses the Tarap Khola and finally reaches to Numa La Camp. O.N at Numa La Camp. 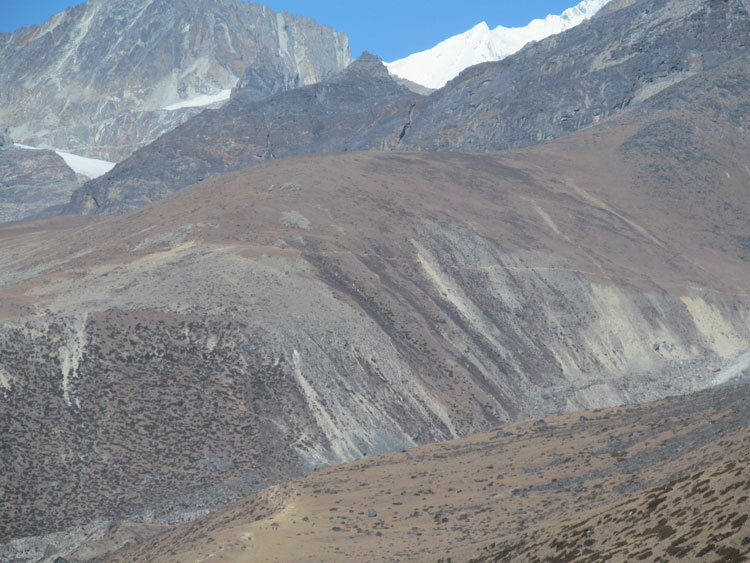 The route crosses a small stream and makes a long climb along a moraine to Numa La (5318m).From the pass on a clear day you will see the Shey Shikar (6139m), Kenjeralwa and Dhaulagiri I (8169m). Descend from the pass into the U-shaped rocky valley and reach to Bang La Camp. O/N at Bang La Camp. The trail crosses the stream then climbs a slope and reach to Poyun Chu Valley and to Banga La (5190m). Dewscend from the pass and cross the stream and slant down the right-hand mountainside, finally reach to Sanu Bheri Valley. O/N at Sanu Bheri Valley. The trail downs to the meadow then descend into a forest reach to the yak pasture. Trek through more meadows, forest, and yak pasture then climb on a high Cliffside trail to a ridge at 3780m. There are the good views across the valley to the huge waterfall formed by the Phoksundo Lake. Then the trail descends gently through a blue pine forest and reaches to Ringmo (3730m) and near to the shores of Phoksundo Lake. O/N at Phoksundo Lake. From Phoksundo Lake the trail you will take the down valley trail through meadows and reaches a high p [point about 377om and descends very steeply to Palam (3230m) and then to Sumduwa where you will see the National park head quarters. 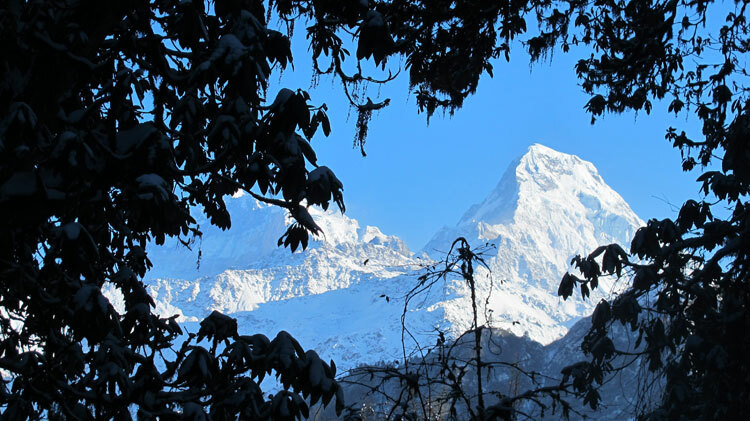 The trail continues on the right bank of Pungmo Khola, finally reach to Pungmo Valley. O/N at Pungmo Valley. The trail slopes down through trees to the riverside and comes to a chorten at the confluence of two streams. At around 400m you will see the band of rhododendrons. In the way the wedge peak is no longer seen but the mass of Kanjelaruwa can bee seen clearly. The trail climbs and reaches to Lasa Meadow. O/N at Lasa Meadow. From Lasa Meadow the trail climbs up with magnificent views and finally reaches to Kagmara La. From Karmara La the trail descends quite steep and came to the head of Garpung Khola valley and finally reach to the camping area of Garpung Khola Valley. O/N at Garpung Khola Valley. The trail forward following down the Garpung Khola Valley and descending quite steeply you come to a bridge and to Toljem (2920m) where you can see the army check-post. Just below the check-post cross the Jagdula Khola and walking sometimes you will reach to Hurikot, a collection of somber grey, flat-roofed. O/N at Hurikot. Passing Kaigaon, Majgaon, and Rimi you will pass through the dense forest of holly oak, bamboo and tree juniper. After then you will reach to Chaurikot, a medium sized Khamoa village. Crossing several minor streams in the forest you will reach to Forest Camp. O/N at Forest Camp. Leaving Mauria Bhanjyang descends among the rhododendrons and into the forest of birch, pine and oak you will reach the settlement of Naphukana. About 20-25 minutes later crossing side stream you will reach to Churta, a Tibetan village. O/N at Churta. Leaving Mani Sangu you will reach to Gothi Chaur. 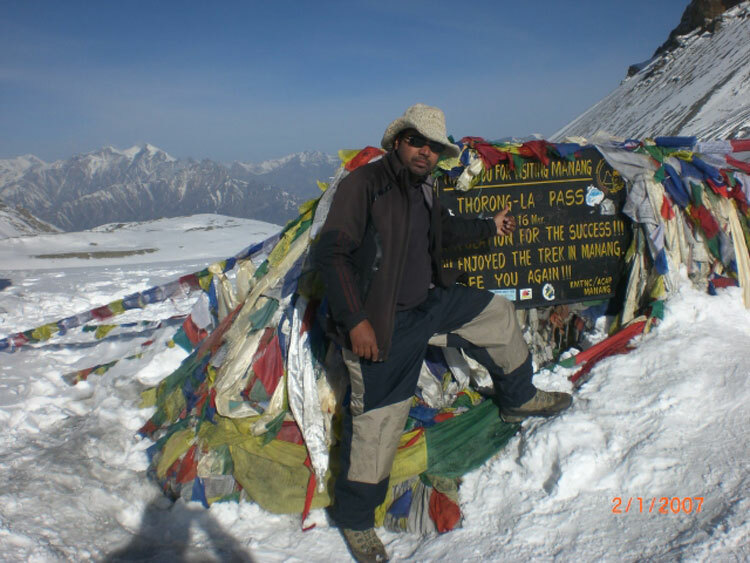 From here the trail climbs to Pattyata Lagna (2830m) and to Dochal Ghara. The trail descends gently in a fertile valley and crosses the river and finally reaches to Jumla. O/N at Jumla. You have a scenic fly from Jumla to Kathmandu. Hotel, B.B. O/n at Kathmandu. Day 22: Transfer to Airport for your onward destination. •	All program according to itineraries on full board. •	Wages, equipment, insurance and other facilities to staffs.